Many of us are inundated with publications, RSS feeds, offers, newsletters, and updates in our inboxes. Even with careful "e-pruning" and weeding out the items we truly cannot live without vs. from those we could care less about, we still get a lot. However, there's a big mistake I see folks making out there, that can cost time and money in the end. Not reading up on what your future clients, partners, prospects, and even possible employers, are publishing. Because what people publish (such as, in my case, "6 Degrees of Twitteration," which provides resource information and stuff about me I want you to know regarding Twitter revelations), provides key insights into who they are, why their business exists, what they read, where they hang out (online and otherwise), where they are looking to take their business, and other important information. Think about it...don't people pay a lot and invest significant time in trying to find out that information? As for me, there are plenty of folks I follow who interest me for various reasons. Social media-wise, thanks to Chris Brogan, I found out about Creative2 Studios recently, and they rock! So, despite the perhaps chaotic state of your inbox, the next time a prospective partner or client invites you join them on Twitter, sign up for their e-news or blog, or hook up with them online, do all of the above, move them up to the top of your list, and delete something else your getting from someone you will probably never have anything to do with. After all, being connected to the right people for you is what social media is all about, right? While it's true that you never get a chance to make a first impression, there are times when online personas can change subtly, and people can vary in showing different sides of themselves, in the way they choose to market their brand, etc. I used to not like this expression, as sometimes it made me feel like if I was alone for any period of time, it meant that I wasn't anyone, which is of course, ridiculous. We often cannot write or be creative and brainstorm unless we are alone, and demand that precious time. But now I love this expression, because I realize what it really means. That when we choose to connect, at a conference, workshop, business event, or even a webinar or Meetup, it speaks volumes about us.That's why Facebook's photo upload feature is such as big deal. If you're going to work with someone, don't you want to know who they are connected to? Copywriters and online marketers are constantly touting the importance of telling a good story to your audience and readers. Why? Because it breaks the ice, and fosters good will. Plus, people like to be surprised, just a little. Maybe they had assumed you were a runner, when your true passion is chess. Maybe they thought you had a million dollars, when it turns out you actually lost most of it. Maybe you find out that you both lived in Boulder during the summer of 1990 and were at the same Neil Young concert. Or that you are both gluten intolerant, or like to get up at 5 am and photograph artichokes. Whatever it is, stories provide little avenues for us to connect, and wouldn't you want to have these sooner rather then later? One channel is not enough to really get the full picture of someone's business or personality, and if people are using social media and online publishing tools right, they are not repeating the same content all the time in the same way, but changing it up in a creative and original style. Maybe a blog post one day, a video the next, a podcast the next. You should be familiar with how they express themselves and what they express themselves about, because chances are that's probably the way they'd want to hear from you. I read recently that using direct video response to someone you want to meet or connect with, is a highly effective communications tool. Say you have an appointment to follow up with a potential client or business owner in one month. You made the appointment over a month ago. Yes, you can email them a reminder, but if you are each subscribed to each other's e-newsletters, blogs, and social media updates, you will both me "top of mind" to each other. You won''t need reminders, because you'll already know of each others' activities, concerns, and interests. Makes for a good meeting when you finally do connect one-on-one, doesn't it? How much do you follow the activities of your prospective stakeholders? 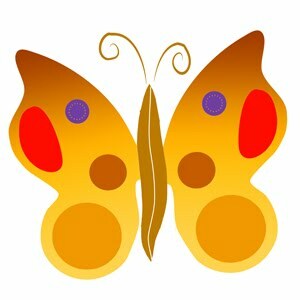 By the way, you're invited to connect with me via "The Butterfly," my monthly e-news focusing on social media trends, communications news, special offers and discounts, and more.